Super quick post because we have a video! In this Before and After Video of Cluttered Bedroom and Bathroom you will discover my messy bedroom and bathroom and watch the magic of setting your timer for 10 minutes and getting your spaces tidy! We have been super busy with travel and other summer activities and the house just got carried away collecting clutter. What can I say???? These rooms, especially the bathroom, were in total clutter chaos. But with 10 minutes of setting the time three times I whipped it into pretty good shape! I this momma can do it than so can you! 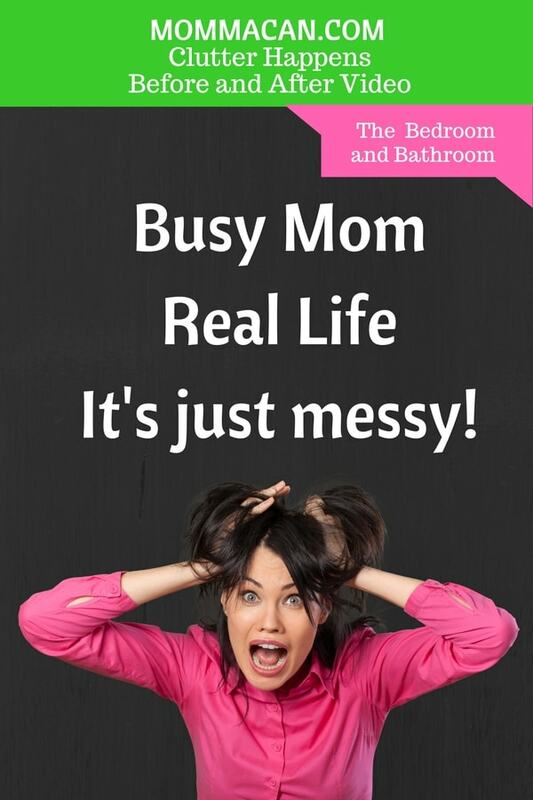 Join me, set that timer, and fight clutter and chaos – momma style! How you deal with clutter? Do you use a timer? Do you ignore it until it takes over the room….. I am guilty of this on busy weeks all the time. No shame in living a busy life, we just have to muster up the courage to take care of it before it explodes! 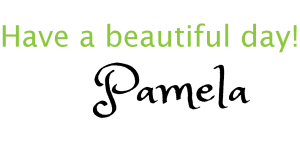 Pam that was a great video and a very smart way of looking at things too. If we break tasks into small chunks we are more likely to get them done. I like the way your voice picked up in the third segment. You must have had some coffee by then.